Adairs Kids linen - beds have never been sweeter or cosier! 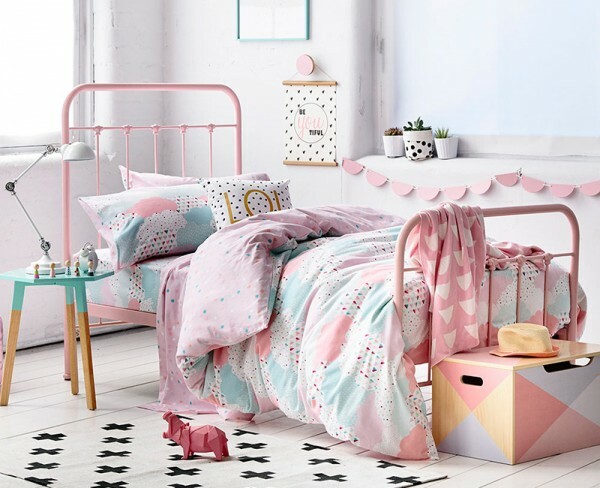 Adairs Kids linen – beds have never been sweeter or cosier! One look in my linen cupboard spills the secret that when it comes to sheets and quilt covers, my enthusiasm lies with the kid’s beds. My latest place to haunt for the most brilliant gear? Adairs Kids, where there’s everything from bottom sheets to quilt covers and coordinating cushions. A collection brimming with stylish, affordable options for children’s beds, I love that you can find an entire styled look at Adairs – from printed sheets, to pillows, to throw rugs – even decorative wall banners and floor rugs – to make decorating your child’s space a stress-free event. It’s all here, but you have to be quick since it literally flies off the shelves. Kids quilt sets are plentiful with Jagger and Sorbet (both $99.95), joining the current beautiful offerings of the nursery collection. Cooler nights are looming and Adairs Kids are making sure our littlies are kept warm and snug in pure cotton flannelette quilt cover sets for both cots, single and double beds. I won’t lie, I do have a favourite – my heart lies with the mint backed Bear set, but the Clouds set is also beautiful in its gelati toned colours. 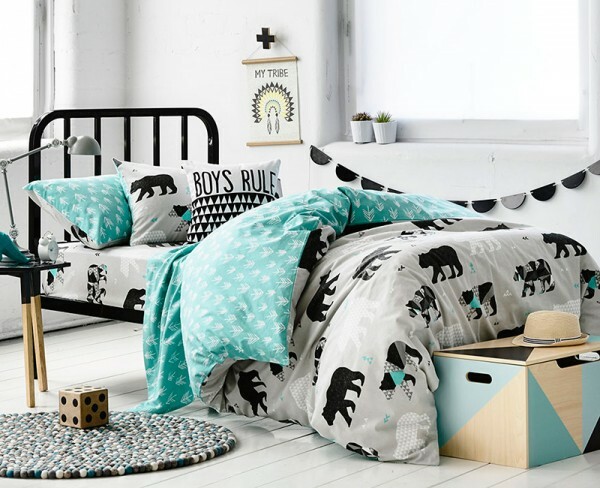 The Adairs Kids new flannelette collection is available in several designs and priced $49.99 for a cot quilt cover set, $89.95 for single bed size and $99.95 for a double. Shop at Adairs Kids or head to one of their stores nationwide.